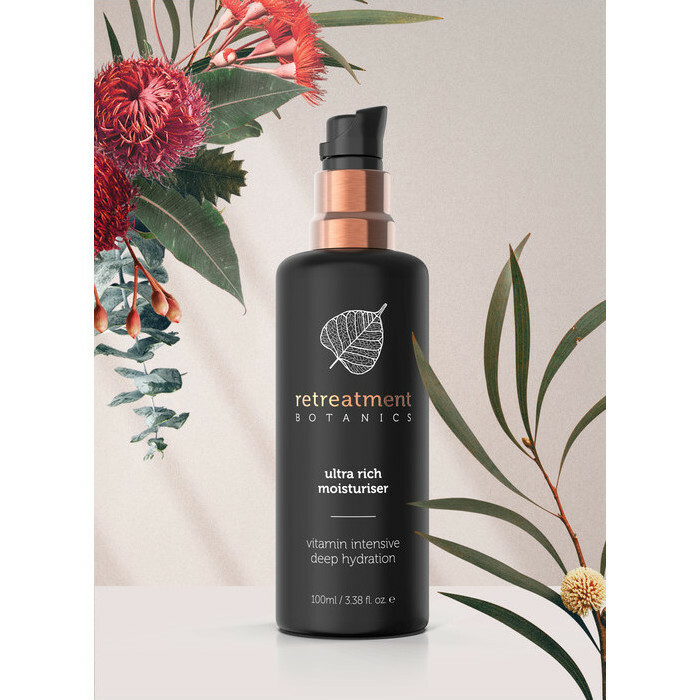 This Retreatment Botanics Ultra Rich Moisturiser is a luxurious, vitamin-intensive facial moisturiser that is ideal for normal to dry, dehydrated and mature skin. Kakadu Plum and Mountain Pepper Berry Extracts, Sea Buckthorn Oil and Hyaluronic Acid combine to provide high levels of Vitamins A, C & E, essential fatty acids and lasting hydration in this pure performance formulation designed to promote elasticity, diminish the appearance of wrinkles and fine lines, and leave the complexion dewy, soft and younger-looking. 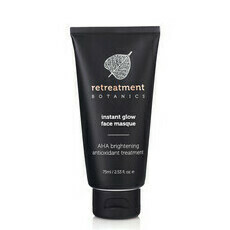 The advanced formula Retreatment Botanics skincare range has brought to fruition Olivia Newton-John's dream of creating pure performance products for guests to enjoy at her Gaia Retreat & Spa in Australia, which has won over 40 international awards. Powerful botanical nutrients from native Australian plants are found in every formulation thanks to her team of natural skincare experts and scientists, and the use of Cellular Extraction™ technology and Cellular Biomimicry™. Aloe Vera, Cacao, Camellia oil, Carrot Seed Oil, Coconut Oil, Green Tea, Hyaluronic Acid, Jojoba Oil, Kakadu Plum, Lavender, Macadamia Oil, Rosehip Oil, Sea Buckthorn, Shea Butter, Sunflower Oil, Vitamin E.
Step 1: Cleanse skin with the Retreatment Botanics cleanser of your choice. 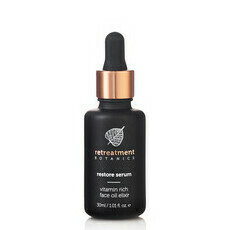 Step 2: Apply your Retreatment Botanics serum. 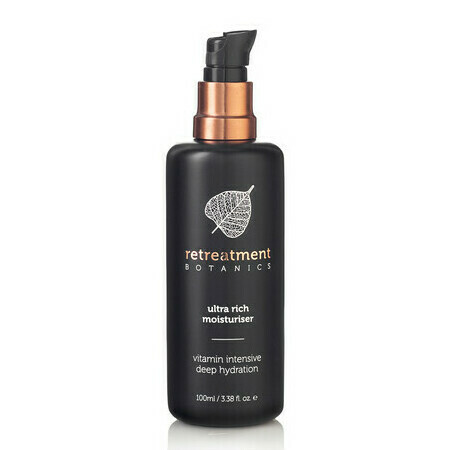 Step 3: Gently massage 2-3 pumps of Ultra Rich Moisturiser into face, neck and décolletage. Tip: Gently massage your face in small circular motions as antioxidant rich ingredients like Kakadu Plum and Mountain Pepper Berry sink into your skin. 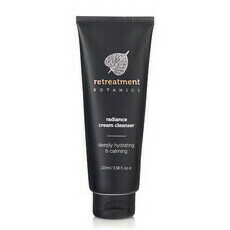 A relaxing facial massage soothes tired muscles and promotes circulation for a beautiful, timeless complexion. Let your stress melt away as you feel the tension release from each muscle. When you are ready, you can say a loving affirmation, such as: I give myself permission to relax and treat myself well. I have a beautiful light inside me that deserves loving care. Today, I will let my inner beauty shine. I was really disappointed with this cream. I wanted to replace another non-natural cream which contained hyaluronic acid and was so excited when I saw this cream contained it. Alas, this cream feels like it sits on your skin. It made me break out really badly. Also really didn't like the scent - the sandalwood is too strong.